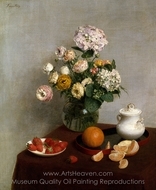 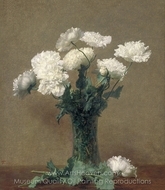 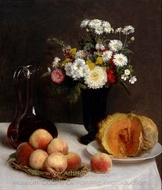 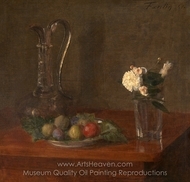 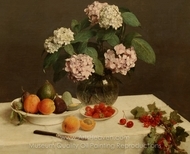 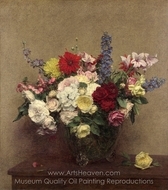 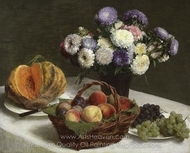 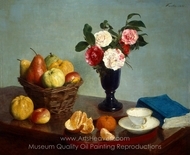 Henri Fantin-Latour was a French painter and lithographer. 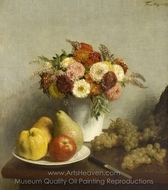 Born Henri Jean Th�odore Fantin-Latour in Grenoble, Rh�ne-Alpes, France, he studied at the �cole des Beaux-Arts in Paris. 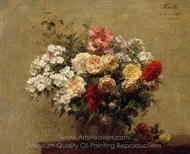 He is best known for his flower paintings and group portraits of his friends Parisian artists and writers. 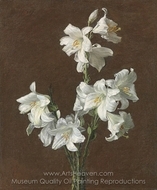 His work strongly influenced the symbolist movement of the late 19th Century. 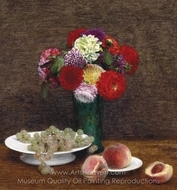 James A. M. Whistler brought attention to Fantin in England. 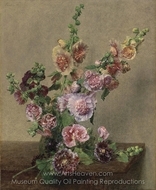 In addition to his paintings, Fantin-Latour created ingenious lithographs demonstrating the music of some of the great classical composers. 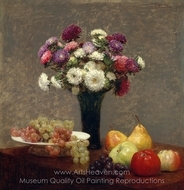 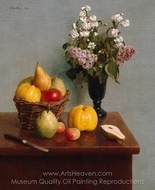 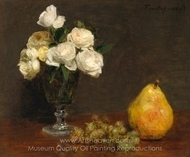 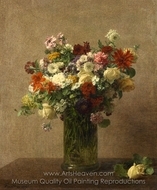 In 1876, Henri Fantin-Latour married a fellow painter, Victoria Dubourg, after which he spent his summers on the country estate of his wife's family at Bur�, Orne in Basse-Normandie, where he died. 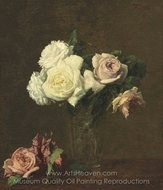 He was interred in the Cimeti�re du Montparnasse, Paris, France. 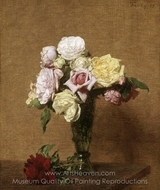 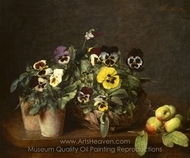 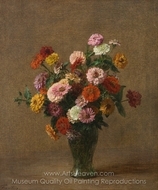 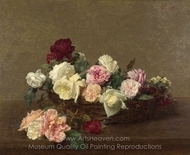 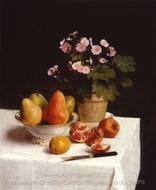 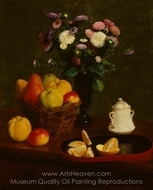 The cover art on the rock group New Order's album Power, Corruption & Lies (designed by Peter Saville) features one of Fantin-Latour's still lifes. 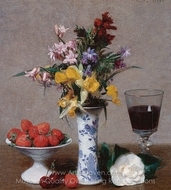 Today, one of his paintings can sell for as much as US$2.5 million.